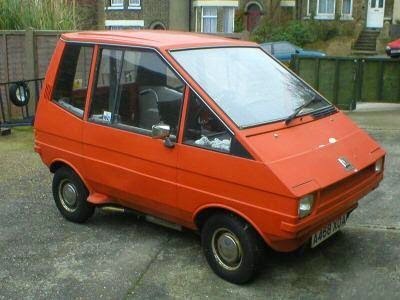 In the era of the “wedge” every car designers was trying to introduce it to every model. 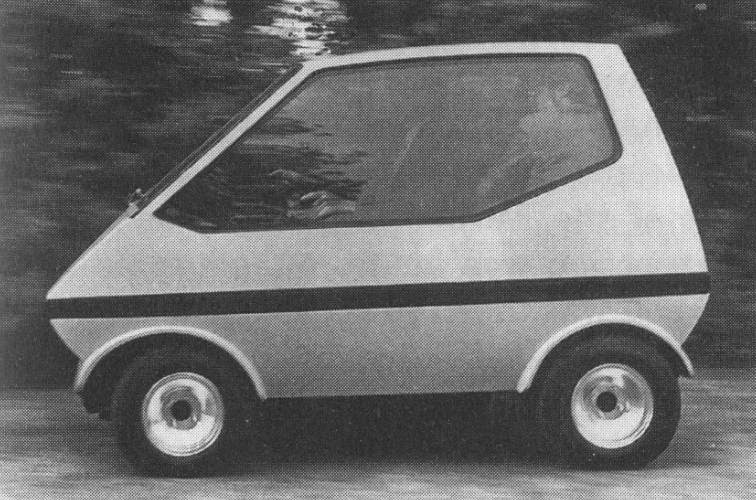 William Towns brought this philosophy to the mini, with the Townscar concept of 1972. 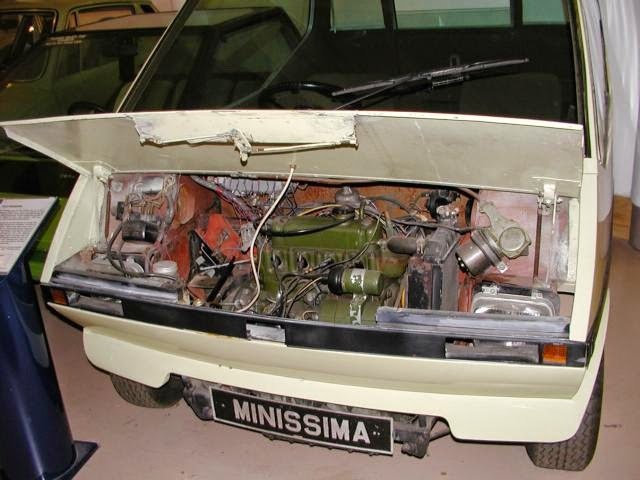 While the body may have been right up to date (this was the 70’s) the underpinnings were taken straight from the car it was suggested it would replace, the Mini if you hadn’t guessed. 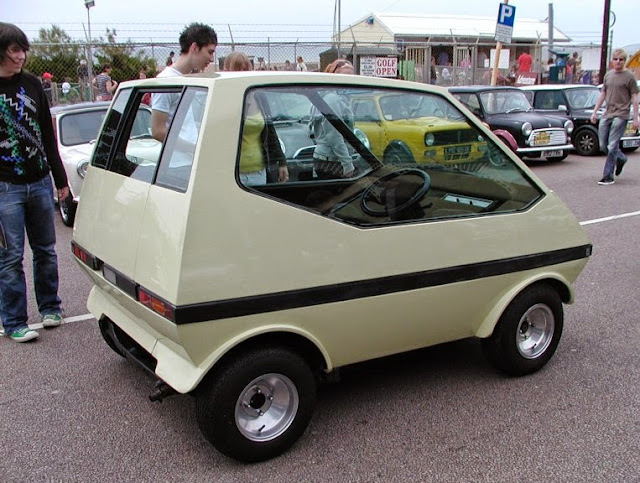 However it would be 30” shorter to allow it to park kerb on but still seat 4 passengers. 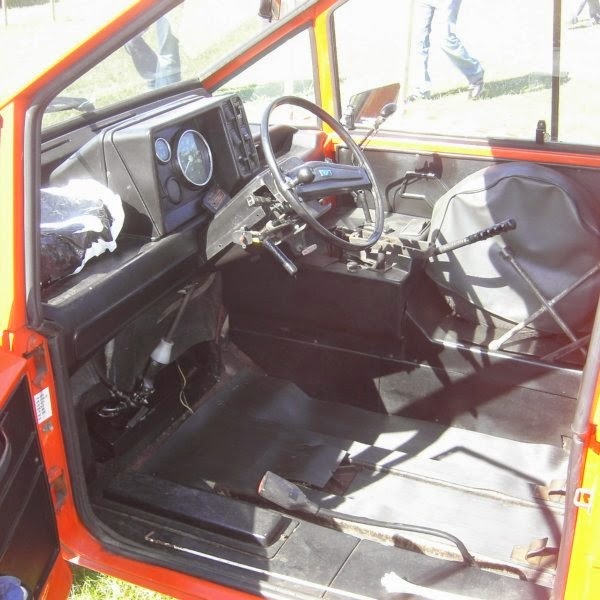 You may have noticed the lack of conventional doors, the only one was at the rear allowing the driver and front passenger to pass between the facing rear seats. 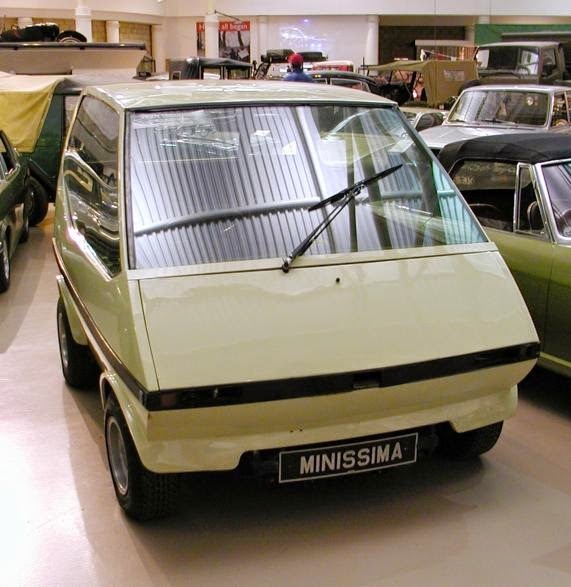 The car took its place on the British Leyland stand at the 1973 London Motor Show after they purchased the rights to it and renamed it the Minissima to enforce its potential future. Production didn’t happen, due to the requirement for production cars to have a second means of escape in case of a rear end shunt and also the fact all the windows apart from a small one on the rear door were fixed and couldn’t be opened. Add to that a total lack of luggage space, which went against the concept of the mini ie small but not compromising. 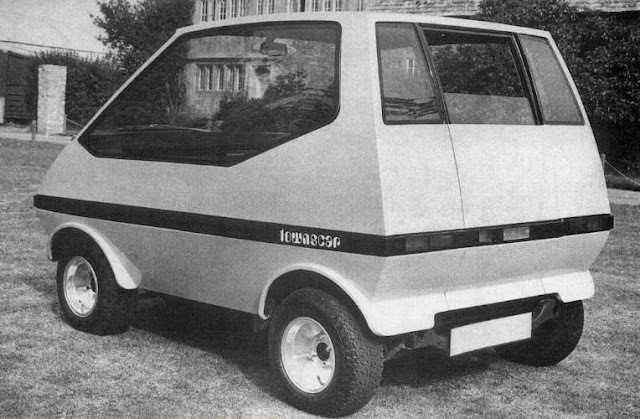 It story however didn’t stop there in it was later handed to GKN Sankey who reworked the concept with Towns. 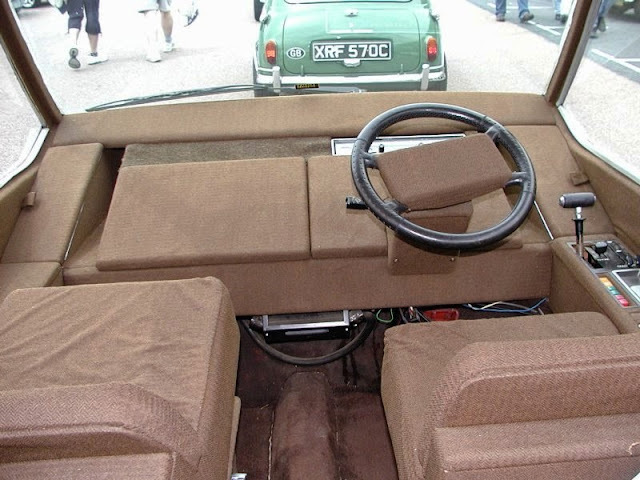 The result was a central driving position to allow for a disabled driver with two fold down seats behind and that required additional door, the idea won a Design Council award in 1973. 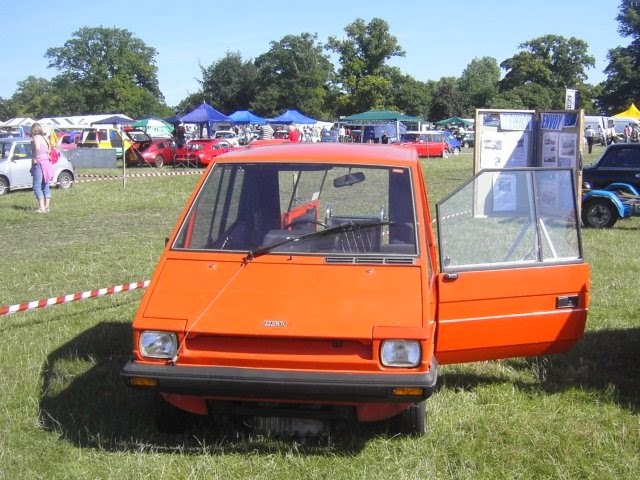 The rights to this new vehicle were then sold on to Elswick, who built bicycles, who put it in to production as the Envoy between 1981 and 87. 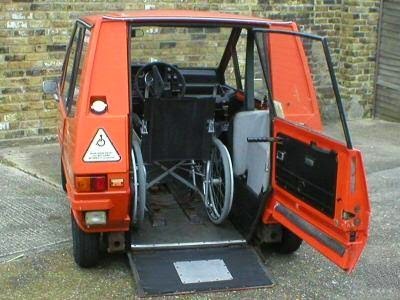 So all in all a great story of innovation and I must admit a good looking alternative to the other disabled vehicles available at the time.